Does the hotel offer car parking? Yes, parking is available at a rate of JPY 3,000+ for 24 hours of use. How do I get to Swissôtel Nankai Osaka from Kansai International Airport and other Kansai stations? Does Swissôtel Nankai Osaka offer rooms for guests with limited mobility? Yes, we do offer rooms for guests who need help. For more details, please contact our Reservation Team before booking online. 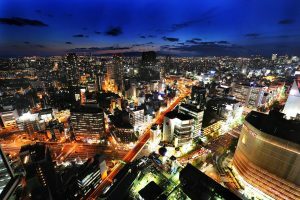 Does Swissôtel Nankai Osaka offer connecting rooms? Yes, connecting rooms are available, although with limited availability. For more details, please contact our Reservation Team before booking online. Is Swissôtel Nankai Osaka a smoke-free hotel? Yes. Guests who smoke are welcome to use the designated smoking area, which is located on 6F. Check-in is any time after 15:00. Check-out is any time before 11:00. Standard check-in time is no earlier than 15:00. However, early check-in is possible if rooms are available. To increase your chances of early check-in, please book your room the previous night. We offer luggage storage free-of-charge to keep your bags safe if you arrive before your room is available. Standard check-out time is no later than 11:00. However, late check-out is possible depending on room availability. Please make arrangements with reception if you require a late check-out. Charges of 50% of the price of the room before 18:00 and the full price of the room after 18:00 may apply. Guests may cancel or amend their reservations free of charge up to 18:00 the day before their scheduled arrival. Those who cancel after 18:00 will be charged for the first night of their intended stay. Please be advised that promotions such as Advance Saver and Seasonal Saver are subject to their own Terms and Conditions and therefore may include different cancellation policies. Be sure to check the offer’s Terms and Conditions prior to booking. Which rooms are recently renovated? Swissôtel Nankai Osaka has recently renovated many of our rooms, suites and event spaces, including the Swiss Select Room, Swiss Executive Room, Deluxe Suite, Prestige Suite and Imperial Suite. All of these rooms and suites are subject to availability. Below is a complete list of room renovations in previous years. Please note that the amount depends on the room rate per person per night. Are there any rooms with extra beds available? Yes, all of our twin rooms are capable of accommodating an additional bed. If you would like an extra bed, please select “3 adults” when booking your room online. Please note that certain rooms at Swissôtel Nankai Osaka cannot accommodate extra beds due to fire regulations. Is it possible to request an extra bed in a Queen or King Room? For any other room types, an extra bed is JPY 6,000 per night, unless you choose 3 adults or more when booking your reservation. For Swiss Executive Rooms and above room types, an additional adult per room is JPY 9,000, which includes access to the Club Lounge. What is the maximum number of guests allowed in my room or suite? Does Swissôtel Nankai Osaka offer baby cots? Yes, baby cots suitable for infants under the age of 2 and weighing up to 15kg may be booked online free of charge, subject to availability. Is there an extra charge for children? No, the extra charge is only if an extra bed is requested. Kids sharing the same bed(s) as their parents stay free. Please inform reception if you have kids in your room upon check-in.